Award winning NZ tours discovering the real New Zealand in Hawke’s Bay. 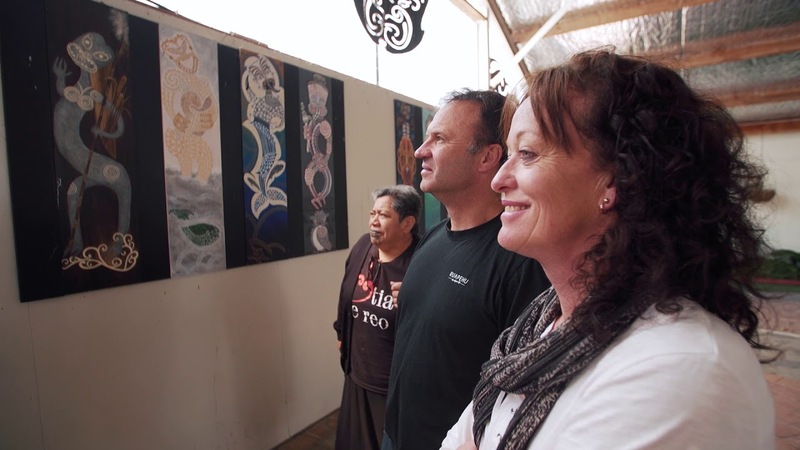 Experience Maori culture past and present. Immerse yourself in our world. Our private and personal guided NZ tours discover the real story of the Maori, past and present. The experience will touch your heart and open your mind. We invite you to take an intimate, personal and spiritual journey with us through the lives of the Waimarama tribe as we share our culture. Get to know our family and feel the power of our sacred native landscapes. A private and personalised time enjoying our landscapes, history and carvings. We live our lives according to the principles of kaitiakitanga – a way of managing the environment based on the traditional Maori view. As guardians of our land we have created the Hakikino Conservation Reserve and Nursery. As the kaitiaki of Waimarama, we work to conserve the natural heritage of our ancestral lands, address environmental problems and reclaim our traditional knowledge. Our vision is to bring back the original environment of our homelands by replanting, replenishing native bush and restoring the voice of the forest.